From live music and bustling crowds to a quiet place to enjoy a cocktail or pint, you’ll find no shortage of nightlife options in Manchester, Connecticut. Whether you’re just visiting the area or you’re looking for a new option for a night out with friends, these five choices offer an evening of fun and relaxation you won’t soon forget. Who knows—you might even run into one of the Afford A Bail’s Manchester Bondsman. Don’t let the name fool you. This local favorite is far more than a Manchester family diner. While it might be a great place to grab a bite for lunch with co-workers, after the sun goes down the bar comes alive and the fun lasts long into the night. Live music is common on most nights—sometimes accompanied by free samplers and appetizers on the weekends—making it a great way to spend an evening without hurting your budget. With a full bar and nightly drink specials, you’re sure to find something to help you unwind as well. 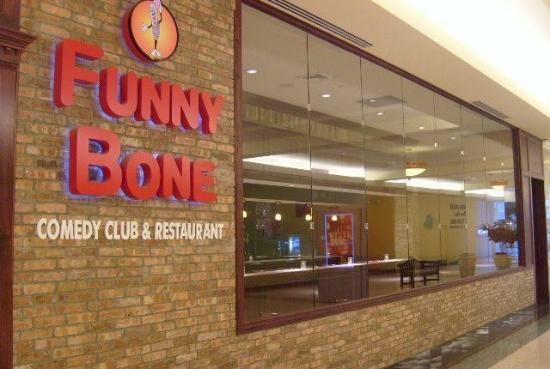 Tucked away inside the Shoppes at Buckland Hills, the Hartford Funny Bone Comedy Club is a great choice for a social night out. The full service bar opens up an hour and a half before shows to give you time to settle in while the kitchen cranks out bar food favorites, such as potato skins and soft pretzels, to keep you fueled up for a night of laughs and fun with friends. You can sit at the bar or pick a table in the dining room with others—you never know who you might meet! Known for its unique crowds, lively atmosphere and dirt cheap all-you-can-play pool specials, the Pool Factory is the perfect option for people watching or kicking back with friends. Pitcher specials and a well-stocked beer case ensure no one goes thirsty and everyone has a good time. If you’re planning to visit on the weekend, be sure to arrive early as the tables fill up quickly and waits can be quite long between games. While you won’t find any live music, the jukebox and PA system let you to request songs using your phone to be sure you hear your favorite tunes before the night’s end. If you’re looking to catch the game and kick back a beer or two, it’s hard to beat the prices and ambiance of All Stars. Karaoke and trivia are available during the week and on weekends the bar features some of the best local cover bands in the area. There’s no ATM nearby, so be sure to bring cash to cover admission on music nights. The inside can get a little noisy once the crowds roll in but the outdoor patio offers an alternative if you’re looking to relax with friends. With both a full-service bar and a separate dining area, the Main Pub offers everything you need for a night out. Cozy up to the bar or find a booth and enjoy happy hour drink specials or order from the menu of well-priced dinner specials. Known for their affordable prices and ample portions, you’re sure to leave satisfied. As the sun goes down, the bar heats up, serving everything from expertly mixed cocktails to draft beer. With so many options, the pub draws an eclectic crowd. This makes it an ideal choice for people watching on busy weekends or enjoying the company of that special someone on slower weeknights. From non-stop parties to a quiet evening and a good drink, you’ll find tons of nightlife options in Manchester, Connecticut. If that list feels like not enough, check nearby nightout spots in East Hartford. As always, enjoy yourself responsibly. However, if things do get out of hand, you can always count on Afford A Bail Bail Bonds Manchester to help you out. Best of all, we’re only minutes away from many Manchester nightlife hotspots!